Visitors are spoilt for choice when it comes to Christmas activities in Catalonia. The most famous of these is Barcelona's Fira de Santa Llúcia which takes place under the city's renowned Gothic cathedral. A firm favorite amongst tourists and locals, the market holds over 300 stalls selling festive decorations, nativity scenes, handmade crafts, food and wine and the famous Tió de Nadal. Christmas markets also take place in other Catalan cities and villages throughout December with an assortment of unique ornaments and crafts to be found. This popular gastronomic festival fills the streets and squares of Valls with the aroma of BBQ'd calçots. Originally from Valls, calçots (a type of spring onion) are eaten all around Catalonia, usually outdoors and during the wintertime. Calçotada is a Catalan tradition that sees locals meet friends and family to eat calçots which are grilled on the barbecue, dipped in Romesco sauce and eaten wearing a bib to avoid staining clothes. The day includes a varied programme of traditional festive events, parades, calçot-related competitions, calçot-grilling demonstrations, a calçotada market, calçot-growing and sauce-making. Part of the Euroloppet Circuit, this popular cross-country skiing event takes place in Baqueira-Beret, Val d'Aran. Attracting over 1,300 participants, the circuit compromises of thirteen of the most important long-distance amateur races in Europe. 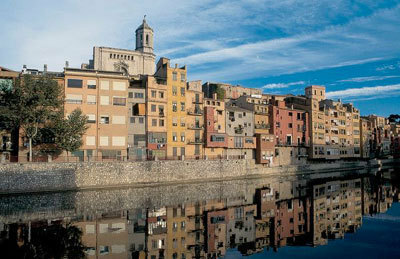 Throughout the last week of February, the city of Girona will host a unique circus festival for the first time. Usually held in Figueres, the circus attracts top artists from around the world and consists of traditional acts showcasing their talents, including trapeze artists, jugglers, acrobatic horsemen, tightrope walkers, ballet dancers and traditional clowns. The Sitges Carnival is one of the worlds to 10 carnivals. During an entire week in February, Sitges features colourful parades of fancy dresses, folk dancing, theatrical performances and live street music. The festival welcomes over 3,000 visitors each year to experience Catalonia's unique traditions including gastronomic event, the Xatonada of Sitges, to enjoy a local salad with the regions traditional xató sauce.